Our least expensive kit ideal for designing experiments, original science projects and short-distance optical isolation applications. Included are one meter of 1000µm plastic optical fiber, matched LED and photodetector, fiber optic connectors, instructional design information and application hints. 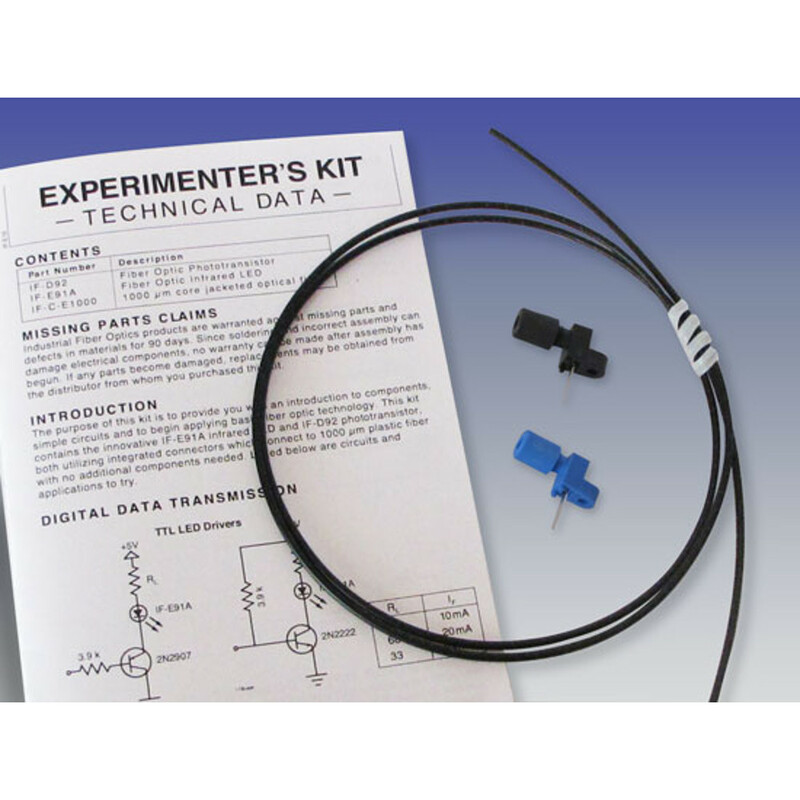 This kit is recommended for beginning hobbyists, experimenters and students.